To cancel your Momentum Plus membership, simply visit your Account page and select the Turn off auto-renew option. This will stop your next monthly or yearly renewal payment from happening. Your Momentum Plus features will remain active until the end of your current monthly or yearly term, after that, your Momentum account will switch to the free version. Click your name/profile image at the bottom left corner of the Settings ⚙️menu. Select the Profile option. This will redirect you to your Account's page. Click Subscription on the left side of the Account page. Click the Turn off auto-renew button. Share some feedback as to why you're cancelling, and then click the Cancel Plus button. If the Turn off auto-renew option isn't available on your Account page, your account has likely missed a payment. 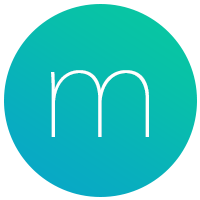 Send us a message at help@momentumdash.com and we'll cancel your Plus membership on our end. If you're cancelling within 30 days of upgrading, or your membership recently renewed and you'd like to receive a refund, send us a message at help@momentumdash.com. Our team is happy to help however they can!